Ok, I’ll be completely honest. This Blood & Guts slime happened by complete accident. 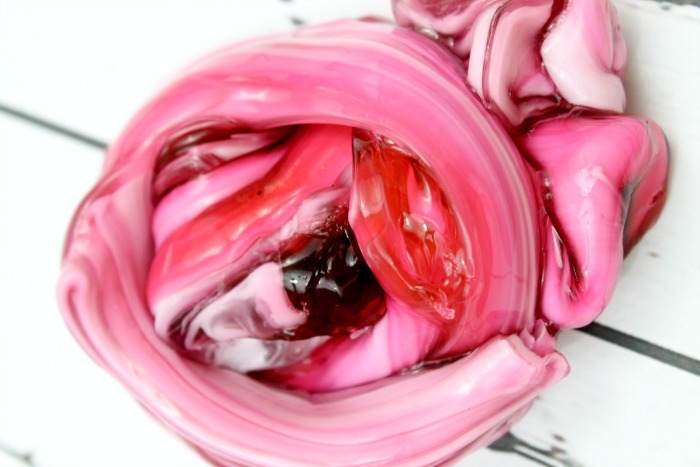 But I was so in awe of how it turned out that I just knew I had to share this slime recipe with you. Now I know that this isn’t the slime for everyone. It’s sort of disgusting but, in my opinion, I think this would be the PERFECT Halloween slime. 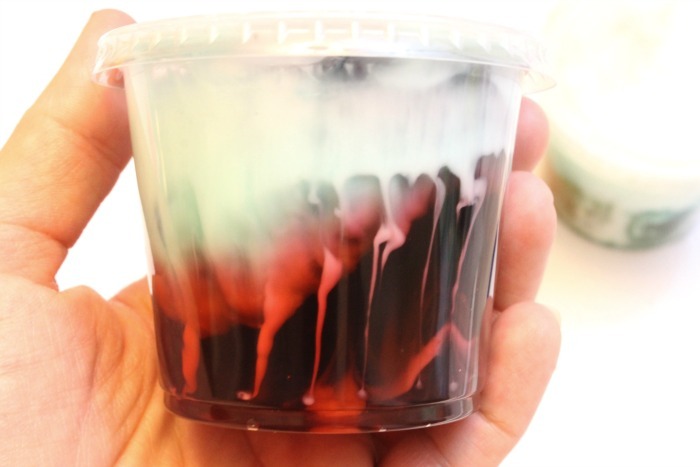 To re-create this fun Halloween Slime you will need to make a batch of avalanche slime which is SUPER easy to make. 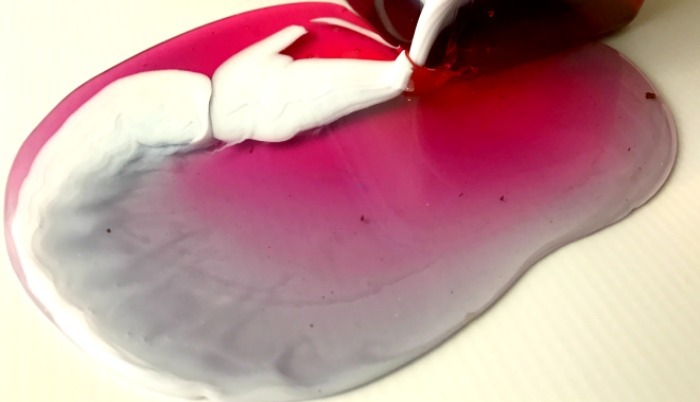 Avalanche slime is basically clear slime with white slime on top. The key with avalanche slime is letting it sit for a few days to get that avalanche appearance. This happens when the thicker white slime starts to fall into the clear slime. It’s one of my favorite slimes to make. For this particular slime here are the things that you will need to get. Clear glue. I like to purchase the clear glue in the gallon sizes. Not only is it cheaper but I can make more batches. Plus if you mess up the first batch you won’t have to stress about buying more glue. 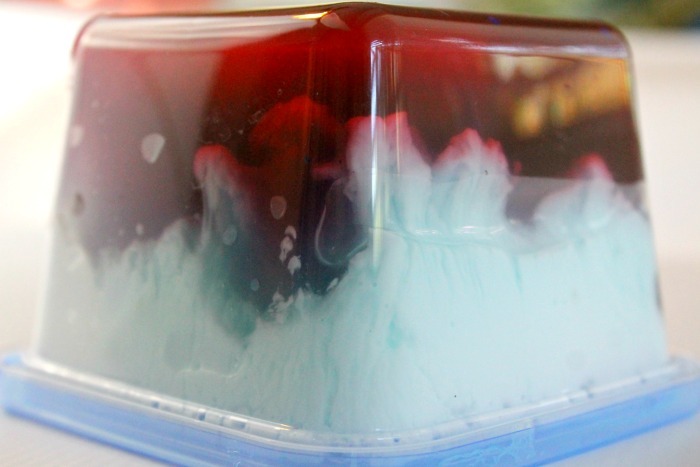 If you need instructions on how to make avalanche slime I have a great step by step post on how to make avalanche slime here. 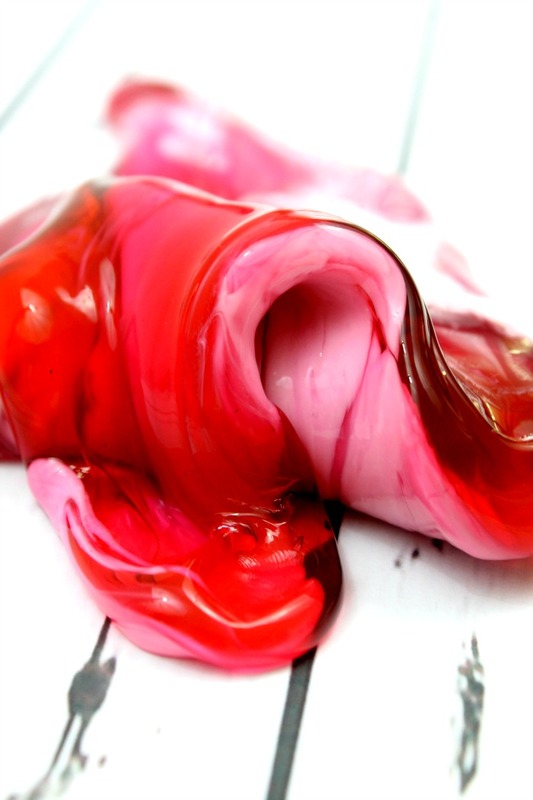 After a few days when your slime has had a chance to start to mix together, now it’s time to make this blood & guts slime. To do this you’ll need to carefully pour out the slime onto a flat surface. If you’re using a table I like to put these craft covers down to protect the surface. They are inexpensive and a lifesaver when it comes to clean up. Now is the fun part! You’re going to mix these colors together to get that blood & guts look to the slime. This is the fun part for the kids. And the best part is that every batch of this slime is going to look different. No two will come out looking the same. 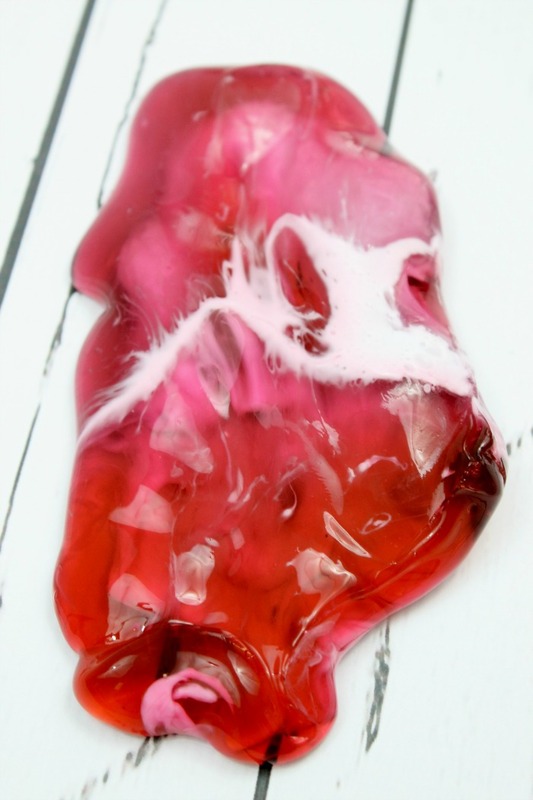 My kids and I really had a lot of fun playing around with this guts slime. The only thing that is a bummer is that once the colors mix together it will turn into a pink color. Which is still super fun to play with. We will definitely be making it again before Halloween. 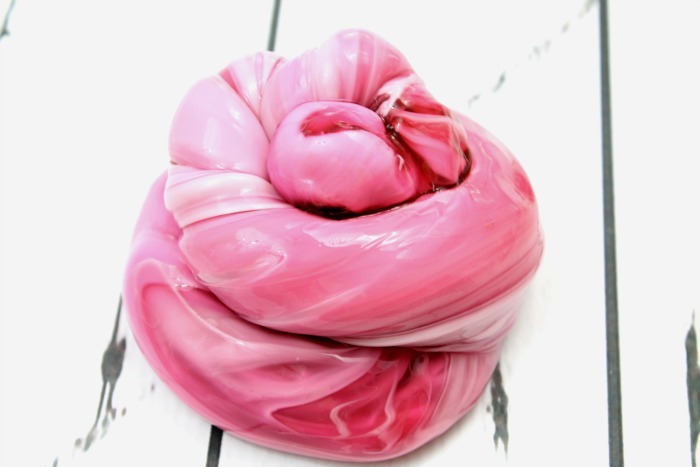 If you are looking for more slime recipes for kids make sure to check out my Best Slime Recipes tab or check out some of my slime videos for step by step instructions.